At least in its idealized version, early retirement may be among the most popular retirement models around. Who hasn’t fantasized about being the next lucky rat to exit the race? Maybe head to a Panamanian paradise, like one intrepid couple did in this US News and World Report piece. That said, real-life early retirement isn’t for everyone. 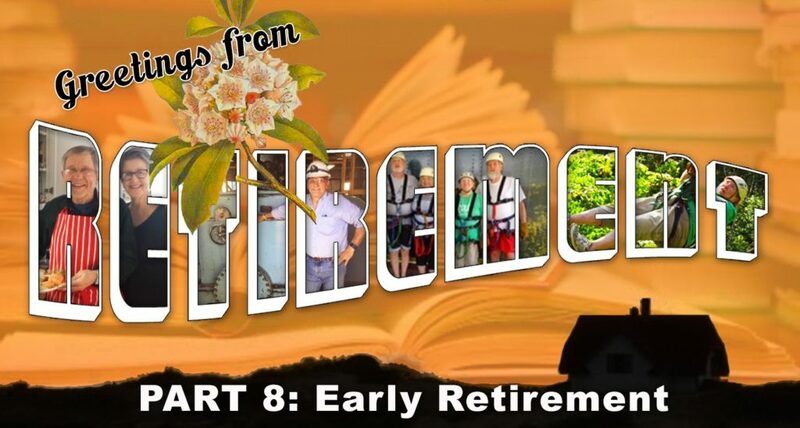 As we covered in our segment on the road less retired, some people love their paid gig so much that retiring from it would be more punishment than pleasure. Also, there’s that pesky little detail about whether you can afford it. The more work-free decades you’re considering, the more critical it will be to budget for them, neither underestimating your expenses nor overestimating your wealth. In short, not every early retiree has hit a financial jackpot and/or left their day job with no regrets. In fact, this may be more the exception than the rule. 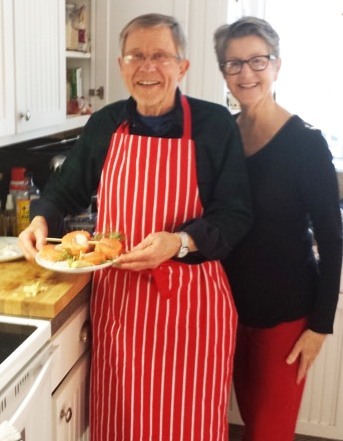 Most early retirees are probably a lot more like us than you might think – or like our clients Jack and Jill Pasanen. At a glance, neither Jack nor Jill fit the idealized early-retirement mold. And in Jill’s case, she headed the opposite direction, forgoing retirement until her early 70s. Dance has been her life’s primary calling (although she’s also a mixed media artist of some note). When she was still a little girl, she would attend her sister’s ballet classes and dance by herself in the back of the room. Her career was a steady trajectory from there. By the time she was accepted into London’s prestigious Royal Ballet School, rest assured she no longer had to dance alone. At 40, she picked up a master’s degree in education and began sharing her passion with others. For the next decade, she threw herself into developing innovative K-12 and adult dance and choreography programs in her native England. Along the way, she met Jack, who also had found his avocation early on. As a student, he loved literature, and discovered his professional calling when his fellow students kept turning to him for help with the same. “When I realized I could actually get paid to teach literature, it was a no-brainer,” says Jack. Thus began 45 years as a classroom teacher and department chair, including a position in England. Connect the romantic dots from there. When the Pasanens returned to the U.S. in 1992, Jill was approaching 50 and Jack was 53. Jill considered starting fresh on a new continent. “I thought I wanted a career that had nothing to do with dancing,” she says. But as she sent out her résumé, the dance world kept calling her back. When she retired this summer at 73, she was on the dance faculty at the Hartt School Community Division at the University of Hartford. In the meantime, Jack’s tale took a different turn. Even though early retirement had not been part of their original plans, he retired in 2002 at the relatively tender age of 63. He entered retirement “a bit under the gun,” he explains, to care for an ailing family member. His regrets are few. He has continued to teach, now as a volunteer at the Cheshire Correctional Institution, so retirement has not taken him that far from his career. He also appreciates the extra time he’s had to return to his first love: reading fine literature for himself. “As a teacher, always preparing for classes, my own interests took a big back seat,” he says. There’s also framing Jill’s artwork for her, cooking the family meals, fly fishing, and more. Suffice it to say, Jack is rarely bored. But he does sometimes wonder: What if? As I touched on earlier, the Pasanens’ tale may be more the norm than the exception to the “typical” early retiree. In my next post, I’ll reinforce that point by sharing the experiences of another couple whose retirement plans were similarly accelerated by health-care concerns. 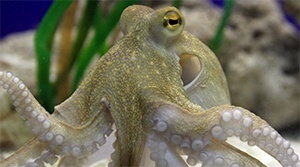 SAGE Serendipity: They had me at…“Octopuses can squirt water at an annoyingly bright bulb until it short-circuits. They can tell humans apart (even those who are wearing the same uniform). And, according to Peter Godfrey-Smith, a philosophy professor at University of Sydney and City University of New York, they are the closest creature to an alien here on earth.” Read all about it in CEPHALOPODS RISING in Quartz.com.